Facial hair growth is one of the most annoying problems that many women face. The regular trips to parlors to keep one’s skin looking smooth and hairless require commitment and time not to mention a high pain threshold. If you do not like visiting a salon every few days, you can manage this problem at home as well using natural products. Before parlors, women took care of this problem at home using remedies like lemon juice, honey, turmeric and more. You too can make use of these and get rid of facial hair in the confines of your home. Here’s what you need to do. The world has finally woken up to the amazing beauty benefits of turmeric or haldi which you will find aplenty in most Indian households. Use it to your benefit to make a face pack that will help you get rid of facial hair. An age-old remedy, this technique has been used by women when there were no creams, waxing, etc. Using this face pack loosens the hair and makes the hair growth scarce over a period of time. In a bowl, add a spoonful of gram flour or besan, a pinch of turmeric powder and two spoons of milk. Mix all the ingredients to make a thick paste. Apply this in circular motions on your face except the area around the eyes. Wherever you have more facial hair growth, massage that area for a longer time. Let the pack dry and then wash it off with lukewarm water. You will notice that the hair growth gets fainter with every application of this pack. Use it once a week to see better results. Did you know you can make your own natural wax at home in minutes? This can be used to get rid of the facial hair from the root using a cloth strip. This will delay the hair growth as you will only see the growth reappear after two to three weeks or more and that too will get finer with every session. To make this wax, take two spoons of sugar and add one spoon of honey and one spoon of water to it. Now boil this solution on the stove and then turn off the flame once its bubbles and turns brown in color. Let it cool down a bit so that it doesn’t burn your skin. Use a clean butter knife and apply the wax on the hair growth. Keep the cloth strip ready and place it on the wax applied. Smooth it out in the direction of the hair growth and then holding the skin taut, pull it off in the opposite direction. This will rip away the hair in a single motion. Do this in front of a mirror so you can see what you are doing. Once you are done with the waxing, apply soothing rosewater on the skin or even aloe vera gel as it will heal the skin. If there is too much redness, first rub ice cubes on your face. If you cannot bear the pain of facial waxing, bleaching the hair is something that you can try as it is completely painless and does not cause any kind of redness or soreness. This natural bleach lightens the color of the hair which in turn helps conceal it. Even though the growth is still present, it is lighter in color and so not really visible. 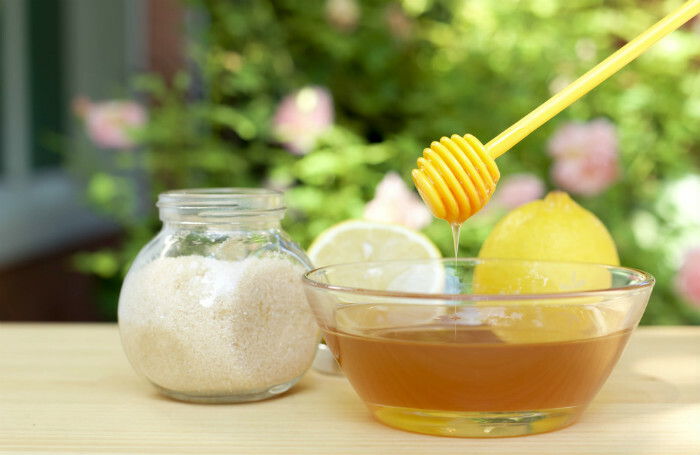 To make this bleach, simply squeeze a lemon in a bowl and then add a few drops of honey to it. Mix the two and then using a cotton ball, apply it on your face wherever there is facial growth. Lemon has natural bleaching properties that will help lighten the hair color as well as your skin color. Let it stay on your face for 15 minutes before you wash it off with water. If you are doing this in the day, immediately apply sunscreen on the face to avoid tanning as lemon can turn your skin dark when exposed to the sun. Its effect will stay on for a week at least and when you notice the growth again, you can reapply the bleach. One of the reasons why you have more facial hair growth than others is because of your hormones. Females also have male hormones in the body and when the level is higher than usual, it leads to excessive facial hair. 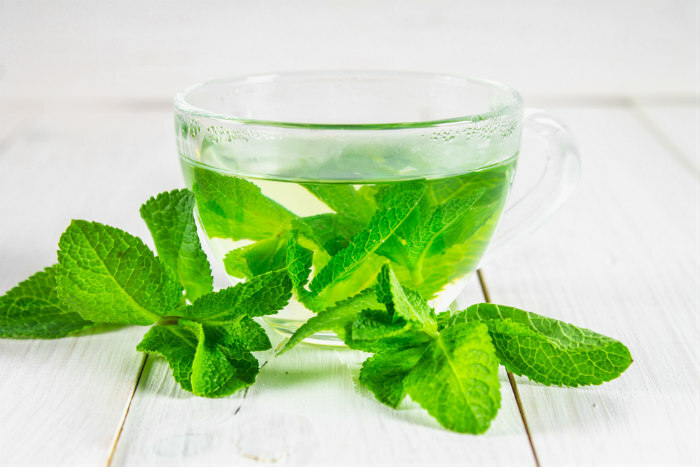 It could also be a hereditary problem but you can reduce it to an extent by drinking spearmint tea. According to research, drinking it twice a day can help reduce the appearance of facial hair growth in women. All you have to do is boil a few spearmint tea leaves in water and then steep it for 10 minutes. Strain it and then have it twice a day. Drinking it regularly will help slow down the facial hair growth. This is not an immediate remedy but doing this along with the others mentioned above will help you deal with this woe better.